Mark had the pleasure of having June Lundgren come onto the show. This was a remarkable and sometimes frightening discussion. 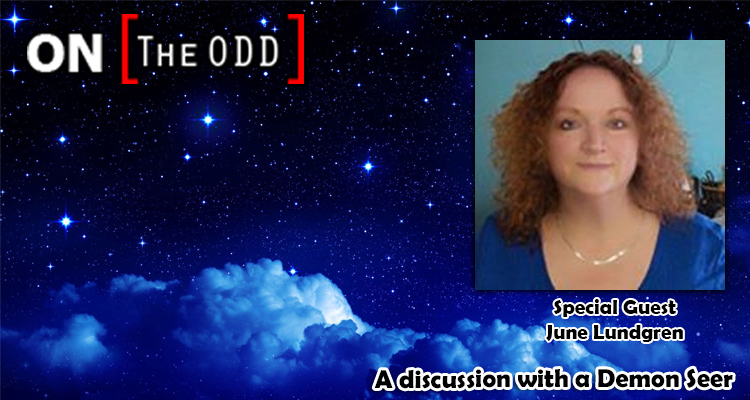 June Lundgren is a psychic-medium, animal communicator, healer, professional nurse, demon seer and international author. She comes from a long line of psychic women. Mentored by her maternal grandmother, June learned at an early age how to use her gifts of mediumship, ability to see negative entities and look into the future to help others.